Taking a walk in Culag Wood is taking a walk back in time. Certain lichens indicate that native trees, such as hazel, rowan and downy birch, have been present for hundreds of years. 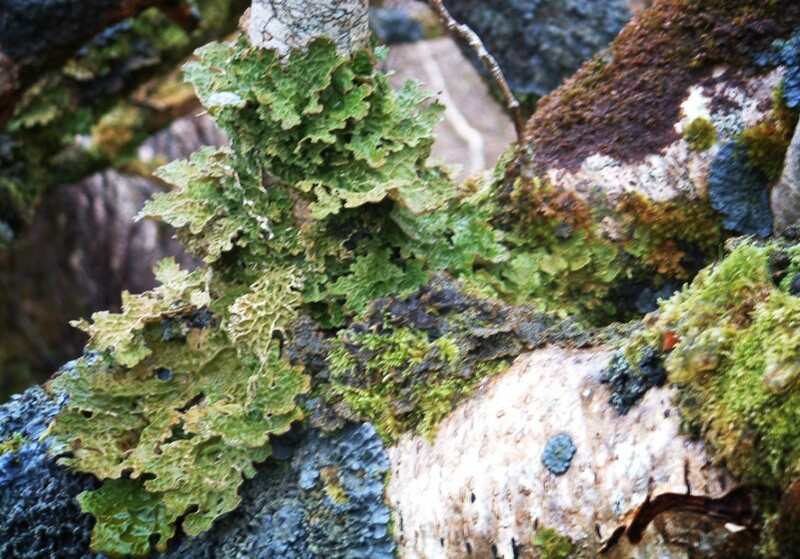 The woods at Culag still have the remains of this ancient woodland and in order to protect these important areas during the management of the woods a small group of members have got together to study particular lichens over a four year period. The lichens are part of the rare lichen community called the ‘Lobarion’, after its most conspicuous family. These are of European importance and Culag Wood is a stronghold for them in the north west of Scotland. Growing on trees and rocks, they thrive in this area of high humidity, clean air, not too much disturbance and minimal grazing. They contribute greatly to the ecology of the woods. Increasing our understanding of how these lichens grow and inhabit woodland will help us to protect this rich diversity of life.